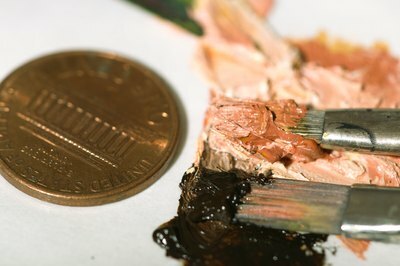 Realistically capturing the appearance of metal objects in oil paint can be challenging, particularly with regard to mixing the appropriate colors. Gold, brass, silver and copper each can be represented in an oil painting with different mixtures of predominantly earth tone pigments. Formulas for mixing colors for metal were established by Old Master artists and are equally effective for today's painters. Once mixed, these colors can be carefully applied to capture the metallic shine and reflectivity of metal in armor, jewelry, silverware and other objects. 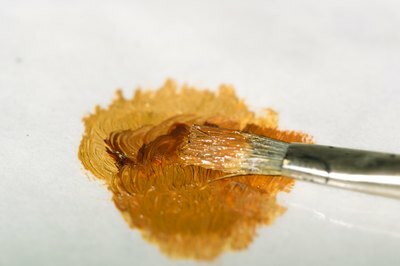 Mix a middle color using yellow ochre and burnt sienna oil paint on your palette. 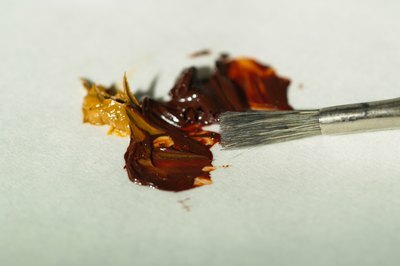 The mixture should be predominantly yellow ochre with enough burnt sienna to turn it a reddish hue. 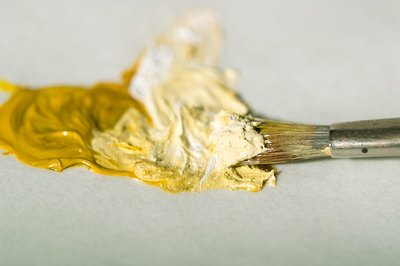 Mix a light color using yellow ochre, cadmium yellow and titanium white. This color will represent the glare on the gold object. 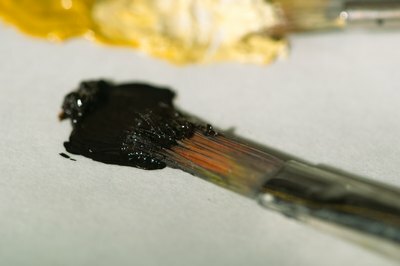 Mix a warm darkening agent from burnt umber and ivory black. Mix all the gradations in value that appear on the gold object, from the warm dark tone to the middle color. The darker gold values should have a greenish tinge. 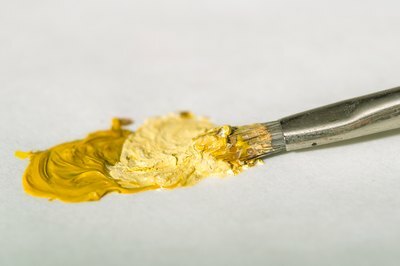 Mix a middle color from yellow ochre and cadmium yellow oil paint. 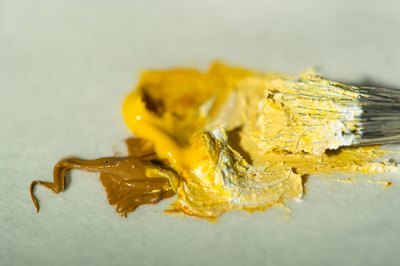 Mix a light color for highlights from yellow ochre, cadmium yellow and titanium white. 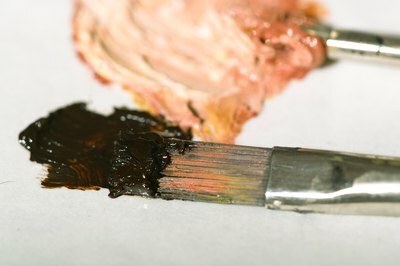 Mix a warm darkening agent from burnt umber and a small amount of ivory black. 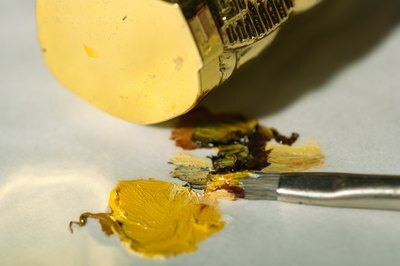 Mix all gradations of value for the brass object using the warm darkening agent and the middle color. 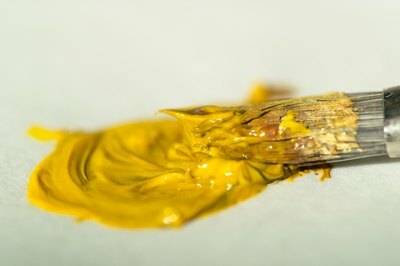 Mix a warm highlight color from titanium white and a small amount of yellow ochre, burnt sienna or a combination of both pigments. 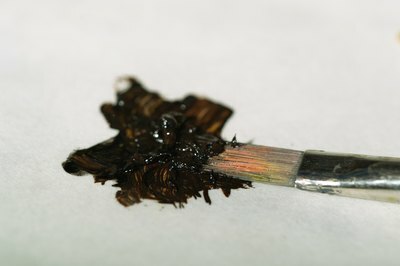 Mix a cool darkening agent from ivory black and a small amount of burnt umber. 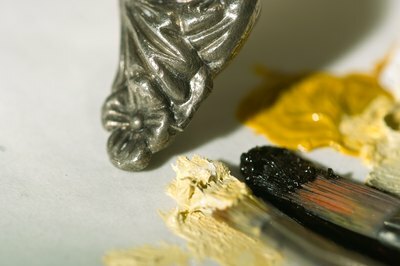 Mix the cool darkening agent and the warm highlight tone to make all gradations in value for the silver object. 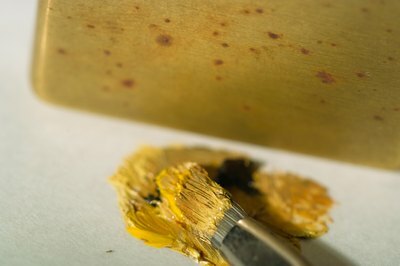 Mix the middle color from burnt sienna and a small amount of yellow ochre. 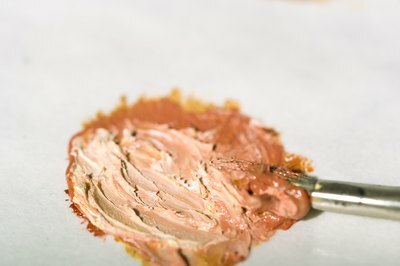 Mix the highlight color from burnt sienna, venetian red and a small amount of titanium white. Prepare all gradations in value for the copper object from the middle color and darkening agent. 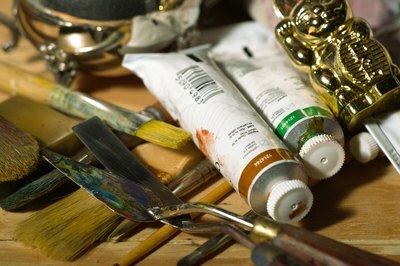 Clean your palette knife with rags between each mixing step to keep your colors pure. 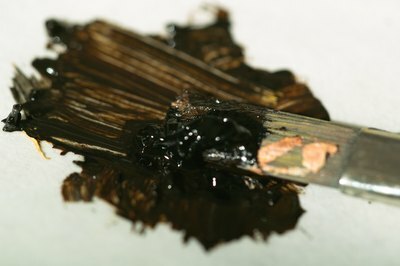 In regard to midtone application, darker values and highlights to the painting surface will be the same regardless of the specific type of metal. Reflected colors can be added to metal colors with thin glazes of transparent paint, after the base colors have dried thoroughly.